GEN1REV22: BIG BANG . Cosmological foolishness............Not logical after all . BIG BANG . Cosmological foolishness............Not logical after all . COSMOLOGICAL FOOLISHNESS............Not logical after all . 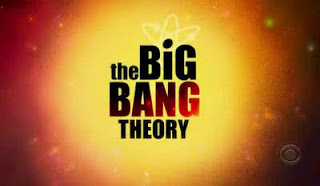 BIG BANG THEORY : Is the story of origins , which proposes in the dim and distant past , approximately 12 billion years ago (open to slight variation AND according to evolutionary timelines ) there was NOTHING . This NOTHING became unstable and exploded . Space itself was made and expanded very rapidly . 1 First Law of Thermodynamics states = Matter and Energy cannot be created by NOTHING. 2 Quantum Perturbation of energy cannot be used to explain the production of the cosmic egg , because one has then to explain the source of the energy . 3 Orderly Universe = The orderly progress of the heavenly bodies is used for measuring Time , months , years . Order does not come from an explosion . And the claimed explosion would only produce chaos . 5 Second Law of Thermodynamics = All spontaneous changes result in a loss of order and information . An increase in entropy . 6 Energy alone , without information to direct it , cannot increase order . Proverbial bull in a China shop springs to mind . And that is what happens with undirected energy ... Chaos not order . But we live in an orderly Universe . Don't let the cosmologists try to kid you on this one. They have not got a clue either-despite the fact that they are doing a pretty good job of convincing themselves and others that this is really not a problem. "In the beginning," they will say, "there was nothing-no time, space, matter or energy. Then there was a quantum fluctuation from which..." Whoa! Stop right there. You see what I mean? First there is nothing then there is something. And the cosmologists try to bridge the two with a quantum flutter, a tremor of uncertainty that sparks it all off.Then they are away and before you know it, they have pulled a hundred billion galaxies out of their quantum hats. I may not have been born in Yorkshire but I'm a firm believer that you cannot get owt for nowt . there is a very real problem in explaining how it got started in the first place. David Darling , New Scientist , 1996 Page 49 . Do not let the cosmologists fool you . All science and history would collapse if this law of cause and effect were denied. So would all law enforcement, if the police didn’t think they needed to find a cause for a stabbed body or a burgled house. Also, the universe cannot be self-caused—nothing can create itself, because that would mean that it existed before it came into existence, which is a logical absurdity.